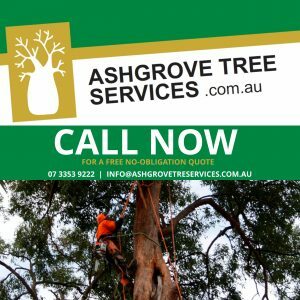 Sometimes the most unruly, obtrusive and overgrown trees only need a little tender loving care from the team of professional arborists from Ashgrove Tree Services. We have the skills, experience and professional know-how to shape, prune or cut almost any tree to enable it to better fit your needs, lifestyle and property. If you get your trees assessed before they become too large, you are more likely to be able to manage their growth and form before they get out of hand. The longer you delay tree maintenance the less can be done to properly prune them. Pruning and shaping is a cost-effective way of managing your trees without needing to go to the lengths of a full-scale felling and removal operation. Remember, prune lightly and often, and most importantly engage professionals who know what they are doing. For an obligation free assessment of all of your tree pruning, shaping and cutting needs, please contact us today on 1300 ASHGROVE.